Physics: The invention of the Nobel Prize winning Blue Light LED Diodes made it possible to direct photons of a specific frequency that could carry harmonic information as a delivery system. Chemistry: Mastery of advanced chemistry allowed 100’s of botanical extracts, medicinal mushrooms, Chinese herbs and other man-made compounds to be combined into long-lasting, stable solutions. Bio-Photonics allows for all the positive benefits of light therapy to be combined with the healing power of botanicals, herbs and other man made compounds to address many health conditions. How Does HALO System Work? How does it work? The photon (light) passes through the vials or tubes that contain the botanical extracts and picks up the harmonic vibrations of the botanicals. It then transmits the photon with the botanical energies into the body (delivery system). The body then responds as if the botanicals were actually present. Michael Thomas (Inventor, Master Chemist and Botanist) theorized almost 20 years ago that if he could pass photons through vials of botanical solutions that the light would pick up the healing information of the botanicals and deliver them to the tissues of the body and/or to drinking water. The science of generating and harnessing light (photons) to image, detect and manipulate biological materials. Biophotonics is an emerging area of scientific research that uses light and other forms of radiant energy to understand the inner workings of cells and tissues in living organisms. Photonic/botanical harmonic energies increase cellular communication. The body knows what to do with these energies and how to best distribute them to heal the body. Light and botanicals do not heal or cure. Rather, the self-healing ability of the body is the miracle; it utilizes supplied energies from every source it can to aid in its healing processes. How Do You Use HALO Systems? Sublingual: situated or applied under the tongue. Auricular: of or relating to the ear or hearing. Pressure points: on the palms of hands and/or soles of feet. Locally: directly applied to the affected area of the body. Water: Structure and then charge the water with the different combinations of botanicals and drink it as part of your daily routine. Supports the body in regulating the immune system. Promotes Longevity and General Wellness. Supports the body in the management of pain and inflammation. Assists in stress reduction and promotes a calming sensation that can be immediate and can last 6-12 hours. A feeling of renewed vigor and vitality lasting for days. Flushes out the dead pathogens. Supports emotional, mental and neurological well-being. What Systems are Included in the Combination Vials? AE (Combination vial) Includes 5 systems: Adrenals/Immune/Mold/Parasites/ Energy. 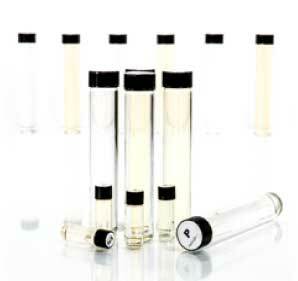 A-V (Combination vial) includes 8 systems: Addictions/Allergies/Body support/ Glandular/Organisms /Recovery/Sports/Viral. EZ (Combination vial) Includes 4 systems: Epstein Barr Virus/Fever Regulator/ Viral/Zika. DX (Combination vial) Includes 3 systems: Diabetes/Herpes Simplex 1&2/Anti-Pox. EMN (Combination vial) Includes 3 systems: Emotional/Mental/Neural. This is the center piece of the HALO Systems of botanical filled vials. Over the past 12 years the chemistry has evolved into this 3 vial/tube set that addresses the full spectrum of our LONGEVITY system. Botanicals designed to support and strengthen the immune system and harmonize normal cell proliferation. Contains botanical blends designed to assist the body in normalizing cellular function and support the immune system. It also contains specific botanicals found in traditional herbal medicine to support healthy function during standard cancer treatment. Contains botanical blends designed to assist the immune system in recognizing invading pathogens and regulates uncontrolled cell proliferation. Contains botanical blends designed to regulate uncontrolled cell proliferation. Natural herbal blend of highly active extracts of Graviola, Cat’s Claw and Tao Ren, a powerful source of natural B-17. Hybrid blend utilizing 3-bromo pyruvic acid and sodium dichloroacetate to effectively harmonize normal cell proliferation while leaving healthy cells unaffected. Contains 3-bromo pyruvic acid at a higher concentration stabilized with other botanical extracts. Highlights powerful taxane chemistry that regulates uncontrolled cellular proliferation resulting in healthy cellular replication. Natural Rainforest herbal blend of highly active extracts of Anamu, Chanca Piedra, Epazote, Job’s Tears, Pau d’Arco and Rhodiola rosea to effectively regulate uncontrolled cell proliferation. Contains natural extracts of Magnolia Bark, Astragalus, Dandelion Root, Pau d’Arco and Ginger Root. Specifically used when zero swelling tolerance is desired; i.e. – supports healthy function during standard cancer treatment. Contains a synergistic blend of natural extracts of Espinheira Santa, Yew Needle Tip, Tao Ren and Reishi Mushroom designed to specifically address tumors. Contains Sodium Dichloroacetate at a higher concentration stabilized with mistletoe extract to strengthen the immune system and support healthy function during standard cellular division. This vial structures water into micro-clusters for greater cellular permeability (uptake and absorption). This is a physical action that takes place at the molecular level. Water structuring does not remove any impurities nor does it change the alkalinity or purity of your water. The HALO structured and charged water can be used for drinking, cooking, brewing tea or coffee and any other consumable water uses. Also, you may use any type of container or receptacle for your water. Whichever type you choose does not have any effect whatsoever on the molecular structure of charged water. Start with the WS HALO vial and direct the light onto the open surface of water for 5-7 seconds for every 16 to 20 fluid oz. Repeat the procedure above with any of the other vials of your choice. The water will retain the harmonic resonance of each of the vials you choose to infuse your water with. There is no limit to the number of vials you can use to infuse water. Best practice is to charge your water for the day all at once. For example: Take a ONE GALLON container and charge it with the number of vials desired for 30-45 seconds for each vial.